Babel, a new quarterly magazine about all issues concerned with language, has just been launched. The first issue is available free via the magazine’s website here. It includes an article about the life and work of H. Paul Grice in the first of what is to be my regular series of articles on ‘Lives in Language’. On Thursday 25th October I will be traveling down to London to give a talk at the Irish Literary Society at 7.30p.m. at the Double Tree hotel, 2 Bridge Place, just behind Victoria mainline station. The title of my talk is ‘”Oh, do let’s talk about something else”: Changing the subject and avoiding the issue in Elizabeth Bowen’s The Last September‘. I will be discussing how recent developments in pragmatic theory can contribute to an analysis of the novel. The Last September is set in an Irish country ‘Big House’ during the time of tension and violence that led up to the formation of the Irish Free State in 1922. The house, Danielstown, is fictional, but the novelist made no secret of the fact that it was closely based on her own family home, Bowen’s Court in County Cork. 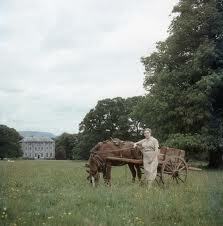 This picture of Elizabeth Bowen shows Bowen’s Court in the background. Thank you to Richard Symonds and Paul Raymont who have both drawn my attention to a discussion of Stebbing’s work which has been taking place on the ‘New APPS: Art, Politics, Philosophy, Science’ blog. Paul has also recently posted on Stebbing and Joad on his own blog. The ‘New APPS’ discussion is a very interesting, and at times rather heated, series of exchanges that focus on Stebbing’s philosophical importance and the extent of her continuing philosophical relevance. It is really good to see Stebbing’s work at the centre of serious philosophical debate and evaluation. My own book on Stebbing, Susan Stebbing and the Language of Common Sense, will be published next year in the Palgrave History of Analytic Philosophy series. Independent film makers Simply Charly have produced ‘Russell: Analyzing Language‘, which is well worth watching. The two-part film features Stephen Neale talking about Russell’s 1905 paper ‘On Denoting’ and its philosophical implications. The discussion is wide-ranging, and has much to say about developments in analytic philosophy over the last century. I particularly enjoyed the anecdote about Grice, who apparently commented that Strawson’s 1950 response to Russell, ‘On Referring’, was ‘a wonderful paper marred only by a completely unnecessary discussion of Russell’s theory of descriptions’. Neale even includes some tips on how to teach Russell’s theory humanely. It’s always nice when philosophical issues get a public airing. I enjoyed Melvyn Bragg’s ‘In Our Time’ discussion programme on BBC Radio 4 yesterday, which was concerned with the nature of the distinction between Continental and Analytic philosophy. Poor Melvyn sounded increasingly despairing as the programme went on of pinning his guests down on the questions of the intellectual, chronological or geographical circumstances of the divide between the two fields, but managed nevertheless to chair a very interesting discussion. The programme is available here. 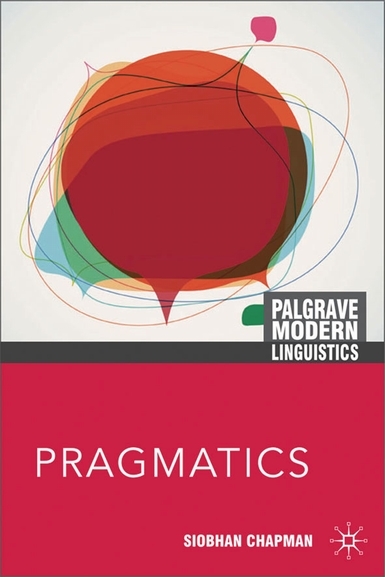 My book on Pragmatics is now available, published by Palgrave Macmillan in their Modern Linguistics series in May 2011. I have just signed a contract with Palgrave Macmillan to write a book based on my current research project on the British analytic philosopher Susan Stebbing. Here is a very brief account of why I am interested in Stebbing. In her article ‘Recent themes in the history of early analytic philosophy’ in Journal of the History of Philosophy, Juliet Floyd argues persuasively that an understanding of developments in analytic philosophy from the early part of the twentieth century is an important part of the intellectual history of a variety of present day disciplines, including linguistics. She also suggests that this understanding can be assisted in part by the construction of narratives around some of the major figures in the field. 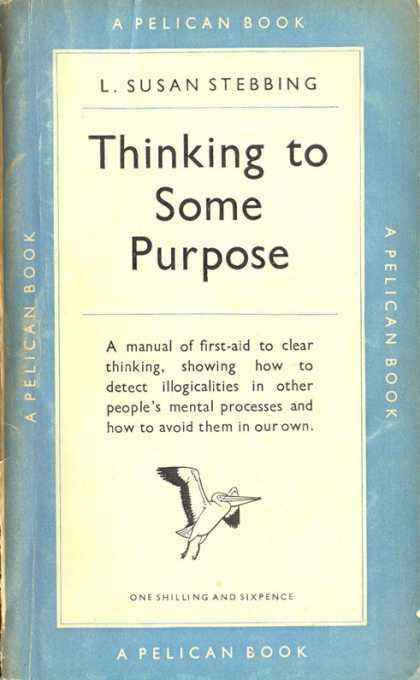 In her conclusion Floyd claims that the study of early analytic philosophy ‘is likely to stretch itself to include assessment of less well-known figures who were interested in the logical or conceptual analysis of meaning’ (p. 198). This strikes me as a particularly exciting prospect for future research. I am very pleased to have received a copy of Miriam Urgelles-Coll’s new monograph The Syntax and Semantics of Discourse Markers, which has just been published in the series Continuum Studies in Theoretical Linguistics, of which I am general editor. This is the second book to be published in the series, following Michael Fortescue’s A Neural Network Model of Lexical Organisation. Gerard O’Grady’s Grammar of Spoken English Discourse is due to be published later this year.